The Federal Government on Thursday ordered that the controversial examinations usually organised by universities in Nigeria for admission seekers after the Unified Tertiary Matriculation Examinations should be scrapped. The Minister of Education, Mallam Adamu Adamu, gave the order at the National Universities Commission in Abuja, while declaring open the 2016 combined policy meeting on admissions to Universities, Polytechnics and other higher institutions in Nigeria. The combined policy meeting is an annual forum where admission officers and stakeholders from universities, polytechnics and other tertiary institutions converge to debate on common cut-off points for admissions. 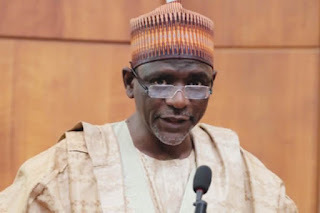 Adamu said, “Our universities shouldn’t be conducting another examination; if they have any complaint against JAMB, they should come to the Ministry of Education and we will look into it. The minister spoke in reaction to a protest by a group of students numbering about 20 at the venue of the meeting. The protesters who blocked the entrance of the NUC office called on the government, National Assembly and other major stakeholders to put an end to the conduct of Post-UTME. Adamu also ordered JAMB to stop extra charges for change of course, change of school, among others. The Permanent Secretary, Ministry of Education, Dr. Folashade Yemi Esan, also reechoed Adamu’s position saying the decision to scrap Post-UTME was unanimously agreed by stakeholders at the meeting. The meeting, however, agreed that 180 be adopted as general minimum cut-off points for admissions to Universities, Polytechnics, Colleges of Education and other Diploma awarding institutions respectively. The meeting which was moderated by the Registrar/Chief Executive of JAMB, Prof. ‘Dibu Ojerinde, also emphasised that preferences for degree-awarding institutions was still on the high side. According to him, first choice preference for degree-awarding institutions stood at 97.78 per cent as against 1.1 per cent for National Certificate in Education and National Diploma courses.